Technology staffing is constantly changing. Companies want to have a top notch IT department to keep systems running smooth, so they need people that can accommodate the evolving and demanding needs of technology. Hiring managers are looking for people they can rely on to provide the best service. Keep these following tips in mind while you are preparing for your IT job interview. You want to position yourself as the best choice for the IT job. To do that you need to research, prepare and rehearse for your IT job interview. Regardless of your job, soft skills are always valued. The ability to interact well with your team, vendors, boss, and most importantly, clients are very important skills to help get the job done. A potential new boss will be more willing to invest in you if you are well-spoken, have good communications skills and can be trained. Try to relax during the interview. You will be understandably nervous, but try to be yourself, be friendly, and be natural. Show your personality. 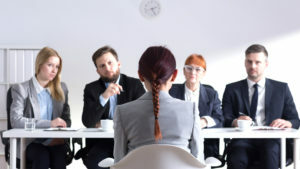 The hiring manager wants to like you, and they are taking the time to meet with you, so take the time to show your personality and soft skills. To get through your first round interview, you will most likely have to complete a coding challenge. If you are a software engineer, you may be emailed a url to a site like HackerRank or CoderByte, or they may provide their own internal link. Tests are mostly given to new graduates or interns, but anyone is subject to taking the challenge, so it’s better to be prepared. Coding challenges will typically occur after a brief informal phone interview, but before the in-person interview and the onsite interview. You will generally have so many minutes to complete so many problems. Our recruiters, like Melissa Simone and Kevin Jarry, help prepare our candidates by informing them about the company and can walk you through the process. During the test, document your work and add a lot of comments. The test is online, so there is no person on a phone line to hear your thoughts. If you cannot finish the test, at least document your approach. It could help you at least get moved to the next round of the IT job interview. Easier said than done, but try to stay calm during your IT job interview. Being prepared will help you stay calm, because you will have the confidence to show them that you are the perfect match for the job. Arrive early, be prepared, stay calm, and show them what you can do! Check out our IT job board and learn about our open positions. Our recruiters are ready to guide you through the process, so reach out to them today!